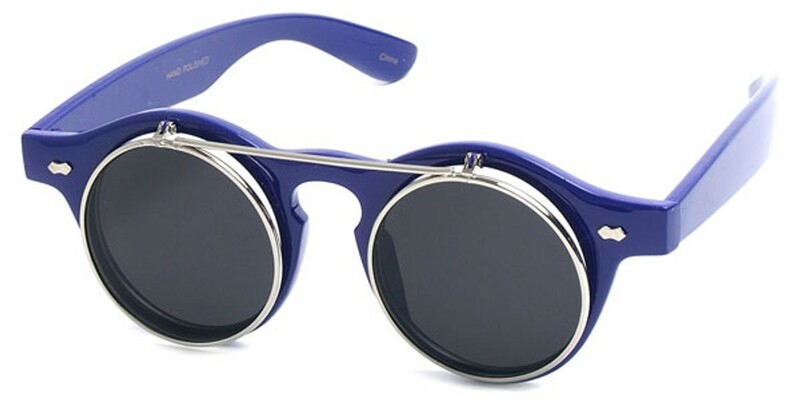 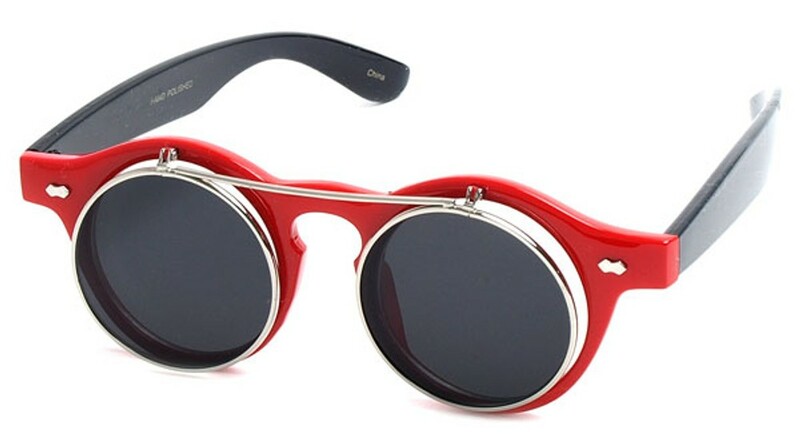 These round sunglasses have a celebrity-like appeal with a special effect. The round tinted lenses flip up to reveal clear lenses. 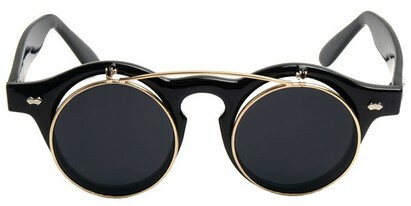 Both the tortoise and black frames are accented with gold metal and a hand polished frame. The entire frame stretches 50mm from top to bottom, while the tinted lenses are 43mm from top to bottom.